If there hadn’t been so much heavy metal available in 1984, I wouldn’t have missed the second album from the band I call the progressive rock kings of the 1980s, Marillion. 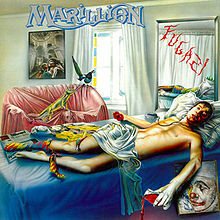 While the “Fugazy” album was wowing people in the UK, I was too busy headbanging away for it to catch my notice.Was it a shame that I didn’t listen to any Marillion until 1985 and this album until 87? It sure is but I’ve made up for it since. At the opening notes of the album’s first song, “Assassing,”I can hear a definite influence from 1970s prog icons Emerson, Lake and Palmer. Maybe it’s that horn sound that reminds me of “Fanfare for the Common Man” that does it. 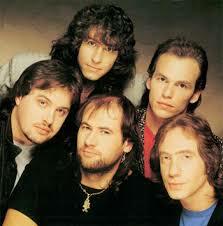 Still, “Assassing” is a brilliant song, very underrated, even in the scope of Marillion songs. “Punch and Judy” follows next and there are elements of hard rock in the song that I truly like. 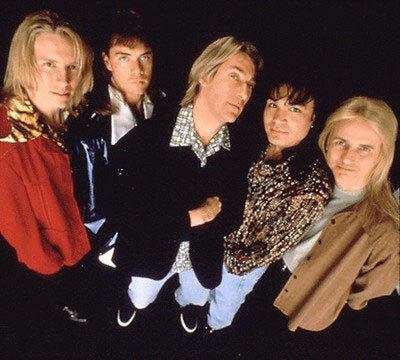 The next three songs have always melded together for me with the standout part being the middle song, Emerald Lies.” “Emerald Lies” is a great versatile song that makes use of keyboards and guitars in all the right parts. This is another great progressive rock tune that requires one to sit down and listen in order to appreciate its beauty to its full potential. The song after, “She Chameleon” has always sounded weird to me but not in a bad way. There are keyboard parts that sound like a horror or sci fi film and Steve Rothery does play a mean guitar solo on it. The album closes with two of the strongest tracks on the album, “Incubus” and “Fugazi.” Both are very catchy prog rock tunes that have you bouncing along until the end. There might only be seven songs on the “Fugazi” but when the album is done, you definitely feel you had more than your money’s worth. In an age where many bands were dumbing down their sound, it was great to hear that Marillion was one of those bands who continued to sound intelligent. They were musicians who actually cared about how well they played and that is evidenced on this album and other ones. One thing “Fugazi” surprises you with is with all the changes in all of the songs. One minute you’re drifting off to some great keyboard wizardry from Kelly and then bang! Rothery powers up the guitar. Then there’s the unmistakable vocals of Fish. He makes poetry come alive to music. 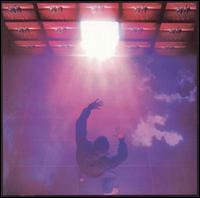 Marillion would make the major breakthrough to my listening ears a year later and I would embrace them. Eventually, I would go back through their catalogue and savour the music thanks to my first wife who was a big Marillion fan. That would be the first concert we went to as husband and wife. With all of that said, “Fugazi” was too good of an album for me to miss out on in 1984. 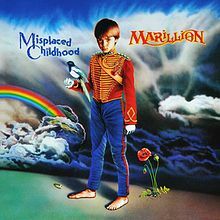 I had heard of Marillion in 1983 but didn’t actually hear them until their 1985, “Misplaced Childhood” album made a major breakthrough in the US. Even then, it would be another two years before I listened to their back catalog, which included this, their debut album, “Script for a Jester’s Tear.” I have to thank my first wife for giving me this opportunity as it was her albums that help me appreciate their early work. Actually, Marillion was the first concert we saw together as husband and wife but that story is better for another day. One of my on going rants here on 80smetalman is that the progressive rock of the 1970s descended into the synth pop of the 1980s. I still believe this but somebody forgot to tell Marillion this was the case. “Script for a Jester’s Tear” proved that there was still some good progressive rock to be found in the 1980s. In fact, I will go as far as to say that legends from the decade before such as Emerson, Lake and Palmer and Yes, (I’ll be visiting an album of theirs in the near future) would be glad that Marillion carried on the torch of progressive rock far into a decade where it wasn’t as widely appreciated. In the true spirit of progressive rock, the shortest track on the album is just a mere five minutes and twenty nine seconds, that track is “He Knows You Know.” It’s also why that song was released as a single. The next shortest track is over seven minutes long and the remaining ones are all more than eight. In each of those tracks, there is the great keyboard work of Mark Kelly in tandem with some impressive guitar playing from Steve Rothery. Those two elements are strongly supported by the rhythm section and the unmistakable voice of lead singer, Fish. They make all of those tracks ones where you just want to kick back and listen and just appreciate the musical efforts of the band. All good tracks but my personal favourite has to be “Garden Party,” most likely for the acoustic guitar followed by hard rock intro. One other point is that at the time, the track “Chelsea Monday” was criticised for having nonsense lyrics. If they do, who cares? The music, especially Rothery’s guitar solo more than compensates. 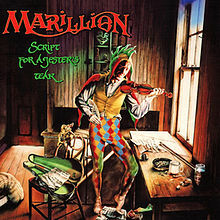 I think what Marillion achieved in 1983 was to provide a common ground for trendies who were able to look beyond what synth pop was offering and metalheads like me who still appreciate a bit of melody. For those, Marillion’s debut album has it all. The paradox is that while “Script for a Jester’s Tear” was a huge success in the UK, it hardly made a dent in the US. Then again, I’ll be visiting another UK band who in the same year, had an album that went multi- platinum in the US but only sold about 17 copies in the UK.